North Korea, Kim announced, would never use nuclear weapons or transfer nuclear weapons or nuclear technology "unless there are nuclear threats and nuclear provocations'' against it. Tokyo: Donald Trump and Kim Jong Un have one big thing in common as they prepare for what would be the first ever U.S.-North Korea summit next month in Singapore: They both claim to deserve total credit. In a country where there is no Twitter but lots of fake news, North Koreans are getting a very different take than American media-watchers on what got the two leaders to the negotiating table and what they will be trying to accomplish. What North Koreans are hearing is that Kim is calling all the shots. That he’s a strategic genius whose bold nuclear policies have opened the door to Korean-led peace talks with the South. And that he has finally succeeded in forcing the leader of the most powerful country in the world to acknowledge their country’s new status.It’s a message that fits in nicely with what North Koreans always hear: that their leaders are essentially infallible. But unlike some Trump backers who have already begun talking about a possible Nobel Prize, North Korea’s media have been exceedingly cautious not to set expectations for specific concessions from Trump too high or to divulge government positions that might need to be walked back or reframed if the talks don’t go as planned. The North’s media didn’t even make their first explicit announcement of the Trump summit until last week. That news came May 10, the day after U.S. Secretary of State Mike Pompeo visited Pyongyang to work out details of the release of three American prisoners and finalize the summit’s venue and its June 12 date. The North’s ruling party newspaper put a photo of Kim shaking his hand on its front page. The media were at it again this week, warning that hard-liners like Trump’s new National Security Adviser John Bolton are ruining the atmosphere of detente by suggesting Pyongyang must unilaterally give up its nuclear weapons before any easing of trade sanctions can begin. North Korea’s often-stated policy is the exact opposite: that its precondition for denuclearization is an end to Washington’s “hostile policy and nuclear threats.” Caution over the handling of Trump news aside, the North’s media have been pretty clear in suggesting something big is going on. What the North Korean people, accustomed to seeing Washington as the root of all their problems, make of these developments is undoubtedly more complicated and nuanced. Largely because of the lack of a free and robust media, Pyongyang is a hotbed of gossip. It’s a safe assumption that with even just scattered bits and pieces of news, the North is by now virtually awash in rumors and that there is an intense curiosity about how relations with Washington are changing, at least among the more educated, affluent urban population. More than most Americans, average North Koreans have good reason to care. 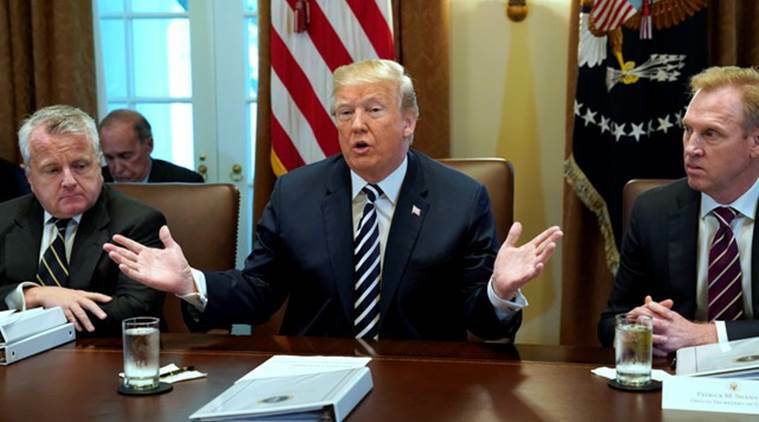 If the summit goes well, they could see the lifting of economic sanctions that will make their daily lives easier intangible, essential ways, such as more and cheaper goods at the stores and eased restrictions on what they can do and say. If it doesn’t, they could well bear the brunt of food and fuel shortages, stepped-up work requirements or even preparations for a military conflict. State media, of course, is also not their only source of information. Much of the news getting out to the broader population is likely trickling down through the hierarchy of the ruling party. It is then disseminated out to the broader membership, believed to number several million, before spreading to others officially or through conversations or around-the-water-cooler sorts of ways. That process was set in motion in earnest last month when Kim called a meeting of the party’s central committee and announced his decision to suspend nuclear tests and ICBM launches. The committee is comprised of more than 100 senior party members and a roughly equivalent number of alternates whose task is to make sure that party policies are understood and implemented throughout the country. Outside of North Korea, the announcement was widely reported as a major pre-summit concession. But that wasn’t the way it was presented to the party by Kim. Kim’s pitch was that under his leadership the country had in just five years completed its development of nuclear weapons, which he called a “miraculous victory” that meant there was no more need for testing and paved the way for the country to turn its attention to economic growth. North Korea, Kim announced, would never use nuclear weapons or transfer nuclear weapons or nuclear technology “unless there are nuclear threats and nuclear provocations” against it. 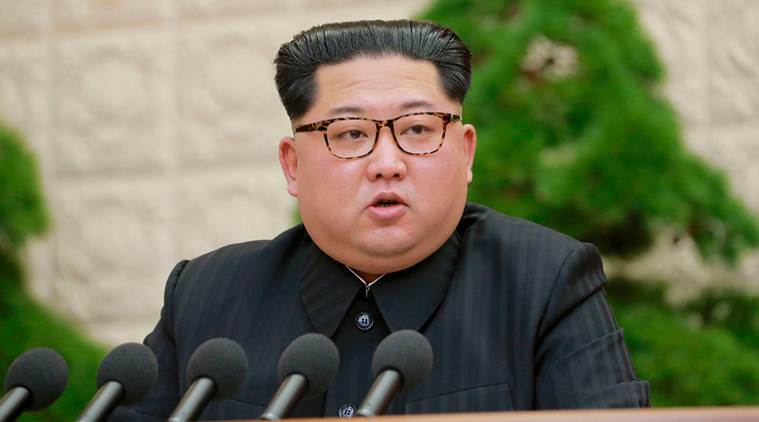 He added that the North’s nuclear weapons are “a powerful treasured sword for defending peace” that guarantee future generations “can enjoy the most dignified and happiest life in the world.” Kim’s message to his own people so far, in other words, sounds a lot like the opposite of denuclearization. And that’s a position Trump probably won’t want to take credit for if Kim decides to bring it with him to Singapore.